Kairana assembly constituency falls in Kairana parliamentary constituency. By-election in the parliamentary constituency will be held on May 28, and results will be declared on May 31. Stay tuned for live updates. Kairana is constituency No. 8 of Uttar Pradesh legislative assembly. It is situated in Shamli district and comes under Kairana Lok Sabha constituency. It is an open constituency. According to data with the Election Commission of India, this constituency has 2,69,228 registered voters. It comprises 1,49,306 male and 1,19,919 female registered voters. In the 2012 Assembly elections, the BJP won this constituency by 19,543 votes. Hukum Singh, the winning candidate, got 80,293 votes. 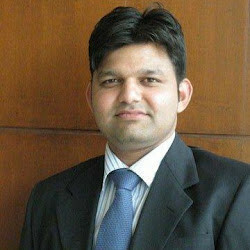 The runner-up was Anwar Hasan of BSP who got 60,750 votes. The voter turnout was 66.03 %. Below is the list of winners and runners-up in the Kairana assembly elections conducted so far.